Blaine Newnham conveys a sober, factual and welcomingly detailed account. A wealth of photography, maps and sketches allows the story to be told in a visually powerful way that text alone cannot fully capture. 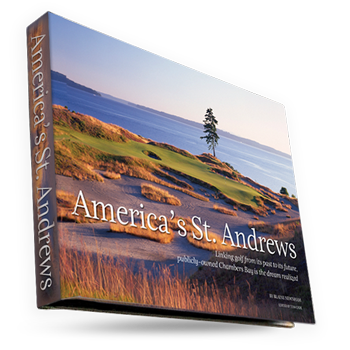 Newnham's lucid writing and the stunning visual contributions of photographers Rob Perry and Jason Mercio make "America's St. Andrews" an enjoyable and accessible book – even for the non-golfers among us. 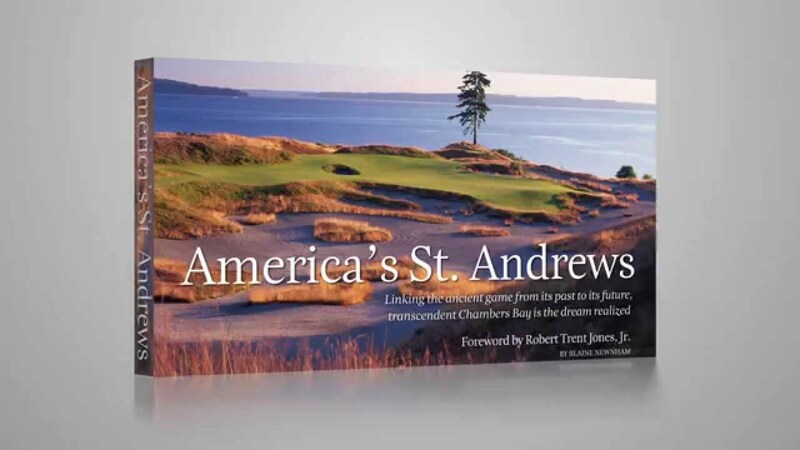 America's St. Andrews is a vibrant, hardback book about the development of Chambers Bay. You don't have to know the difference between a 6-iron and a 6-pack to enjoy the photography in this book. Chapters are short, informative and well-organized. Sidebars are used effectively. It is a smooth read. 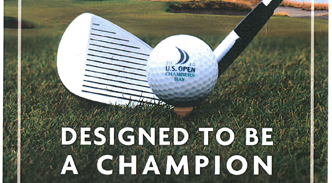 Blaine Newnham and Tom Cade have put together a truly amazing book which chronicles the history of Chambers Bay......It's a tour de force of great reporting, and come next June, it will probably be the must-have souvenir from the U.S. Open merchandise tent. 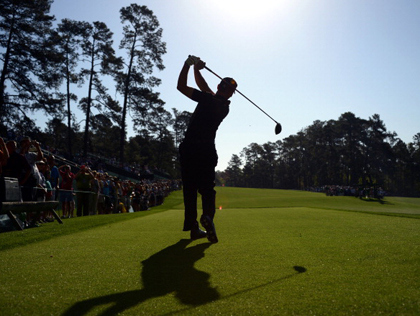 It's a golf story, fundamentally, and who better to tell it than a writer who has covered 20 golf majors. Told by the absolutely perfect storyteller. 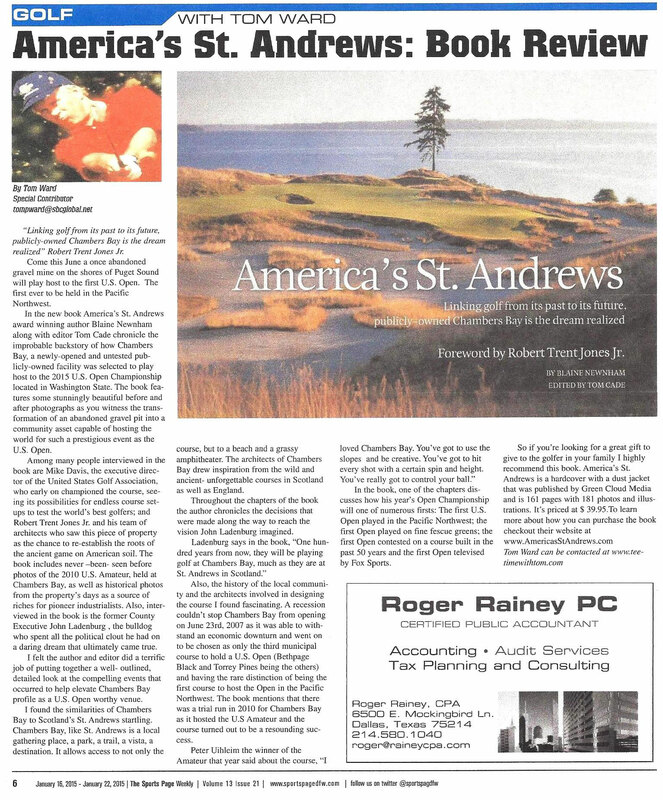 America’s St. Andrews author and Indianola resident Blaine Newnham will be at Eagle Harbor Book Co. in Bainbridge Island, WA on Sunday, May 31 from 3:00 p.m. to 4:00 p.m.
At the recent Seattle Golf & Travel Show, America’s St. Andrews author Blaine Newnham appeared on the Ian Furness Show on Sports Radio 950 KJR AM. Check it out! America’s St. Andrews author Blaine Newnham appeared on the Steve Sandmeyer Show on Seattle’s 1090 AM The Fan at the recent Seattle Golf & Travel Show. Newnham’s segment is in hour 1 of the show at the above link, and follows the segment with Aaron Levine of Q13 Fox. 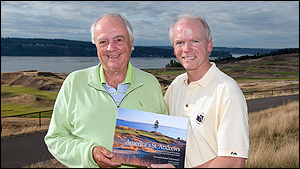 The firm of Robert Trent Jones II Golf Course Architects (RTJ II), the golf course designers of Chambers Bay, site of the 2015 U.S. Open, has provided valuable content for a new book, “America’s St. Andrews,” which is being released to the public beginning today. 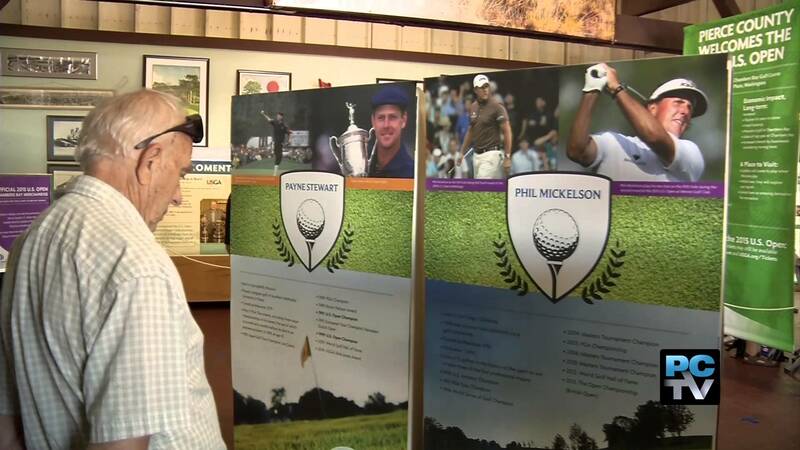 Seattle, Wash. – Pierce County has created a new exhibit to be showcased at the Washington State Fair using photos, illustrations and other material from the forthcoming book, “America’s St. Andrews.” The exhibit is to be an interactive experience featuring exclusive photos, artwork and video. 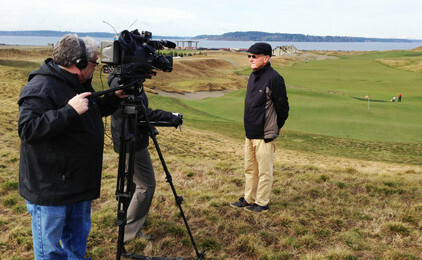 Seattle, Wash. – The publishers of “America’s St. Andrews,” the hardbound full-color coffee table book which is scheduled for release on October 1, 2014, have announced that two more partners, Tommy Bahama and the Tacoma Regional Convention & Visitor Bureau (TRCVB), have joined the project.